I continue to be thrilled at the number of new parents that see, appreciate and contact me about my lifestyle/natural newborn approach to newborn photography. 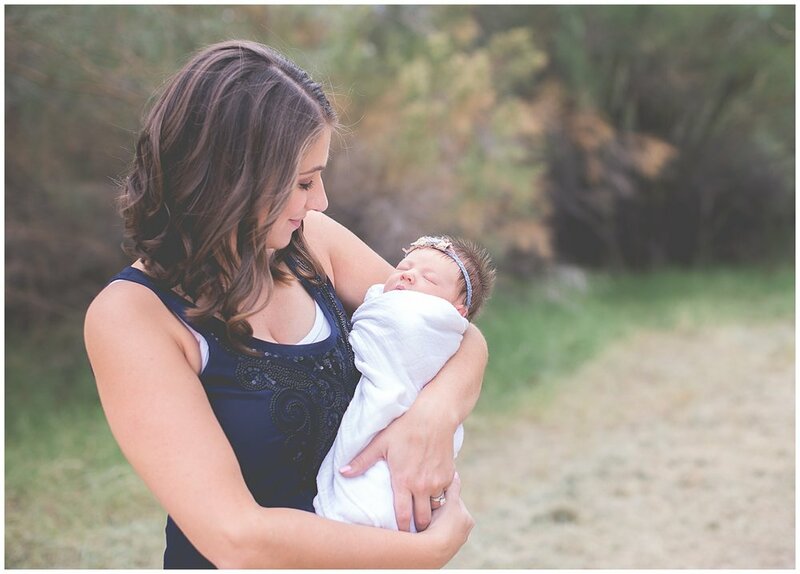 I truly adore and completely connect with lifestyle newborn sessions or as I like to call it - natural newborn photography. Just thinking about getting to capture images of a soft, sweet newbie snuggled in mama's arms or getting doted on by dad makes me giddy. To me, that's real and something worthy of cherishing forever. 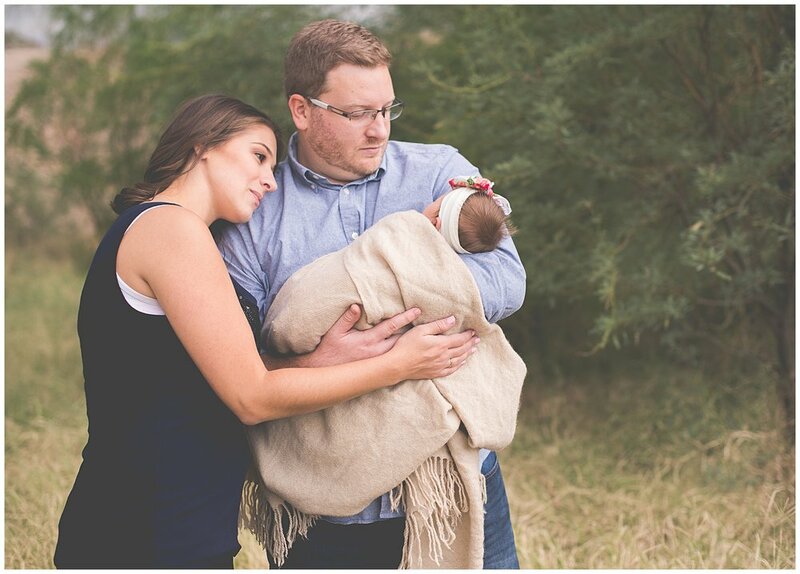 Well, this mama was one of those awesome clients - she wanted a newborn session that included the whole family which of course meant that her furry brother and sister were in a few shots too (I always welcome the fur family members - I'm a devoted dog mommy, too). At the time of their session though, they were custom building their dream home so they were staying with family. I suggested an outdoor lifestyle newborn session as an alternative. They LOVED the idea! So, fast forward to session day..the weather forecasted rain. As a lifelong AZ desert girl, I knew that usually means a sprinkle here or drop there then it just dries up. So, we chanced it. 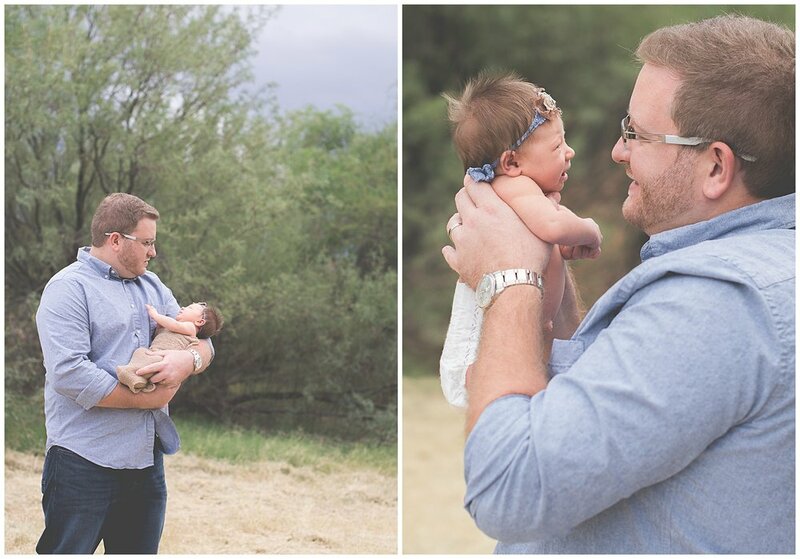 It was a delightfully peaceful and natural (literally) newborn photo session. Their fur babies behaved wonderfully and the weather cooperated too. Just as we wrapped, dark storm clouds rolled in and the rain drops started to fall. Thank you Mother Nature.